Digi Sketch Challenge: Winner of the Wallet of Promarkers Prize. Winner of the Wallet of Promarkers Prize. Golly what a great lot of cards we got from you this last week. They were all brilliant. Thanks to you all for playing along we hope you will come back and join in again soon. Can you email me at hazze89510@aol.com with Willow Designs Winner in the Subject line and I will get the prize sorted out for you. Some Wonderful news for our Boss. Sharon is to be a Telly Star. 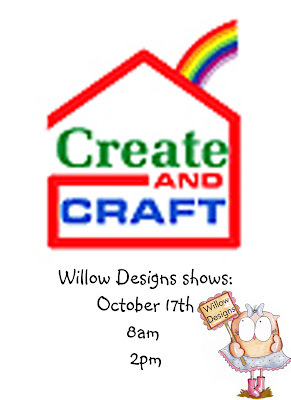 Willow Designs will be on Create and Craft on the 17 October! !